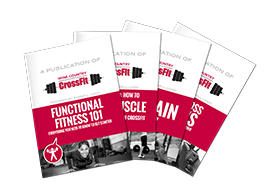 Wine Country CrossFit | What Is Protein & Why Is It Important? Protein is one of the 2 essential macronutrients, which means your body needs it in a large amount in order to survive. It also means that your body can’t produce protein on its own, so you have to eat it in order to get it. Every cell in your body contains protein. You also use protein to build and repair your muscles, which is why we encourage you to eat protein immediately after a workout. You use protein to make enzymes, hormones and build bones, muscles, cartilage and blood. Another benefit of eating more protein is that it digests slowly, so you will feel full longer after you eat it compared to eating quick digesting macros like simple carbs and fat. This is why we teach you to eat protein with every meal- at least 25-30 grams for most people. And snacks that are high in protein are great ways to keep you satiated between meals and help you hit your daily protein goal. Even if your goal isn’t necessarily huge muscle gains, eating more protein will essentially help you eat less calories overall because you will feel hungry less often. And on the other side, if your goals are to gain more muscle or improve your performance in the gym, protein is essential in helping your muscles repair properly, increasing their mass and overall strength. So no matter what your goals are, a diet higher in protein is super important! Well, the recommended daily amount is about .7-1.2 grams per kilo you weigh. But to make it super easy, you can just shoot for 1 gram per pound you weigh, which will definitely ensure you’re getting the proper amount to fuel your body. If you want to know exactly how much protein we recommend for you based off your activity levels, age, gender, and goals, check out our free macro calculator located HERE.